Dr. Jenay Beer demonstrates the feature of the telepresence system to graduate students. The system has applications for healthcare and home use that may help older adults stay connected. Researcher Jenay Beer specializes in assistive technology. Her work aims to help 'put the human back in the engineering equation' and help developers optimize new technology to match their users' needs. As a faculty member at the Institute of Gerontology at UGA's College of Public Health, she's often asking how can this tech help older adults be healthier, happier and safe. 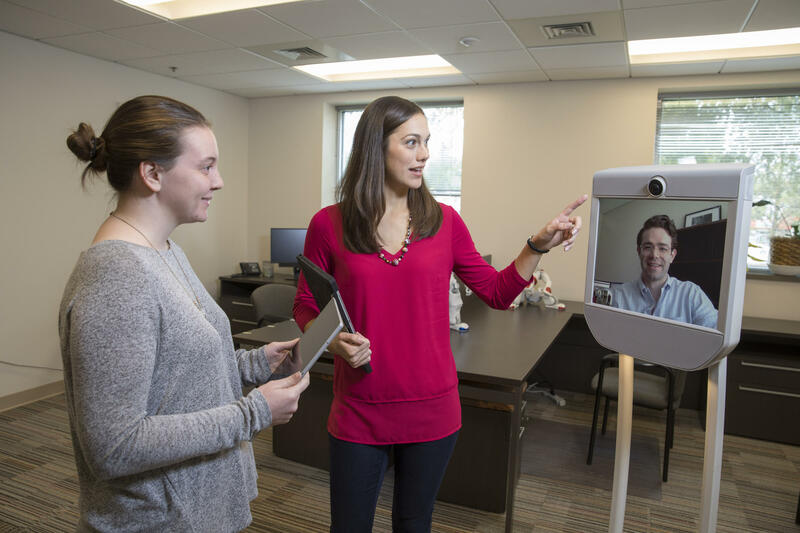 Hear how the telepresence system, a kind of 'Skype on wheels,' may help older adults.